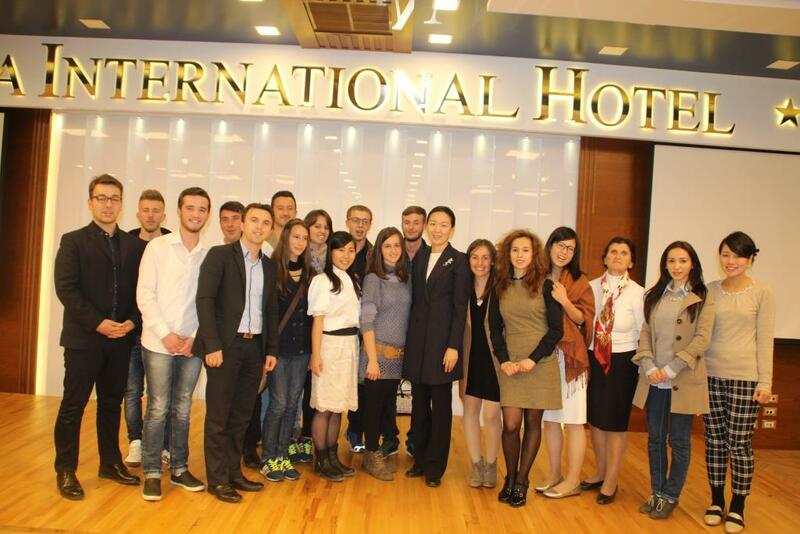 By FFWPU Albania: With sincere love we would like to share with you a short report from Yeon Ah Nim’s visit in Albania from 20th – 22nd of November 2015 and especially after the yearly conference of Women Federation for World Peace on European level, which was held in Prague – Check republic, Yeon Ah Nim visited Hungary and Albania by representing and transmitting True Parents love. 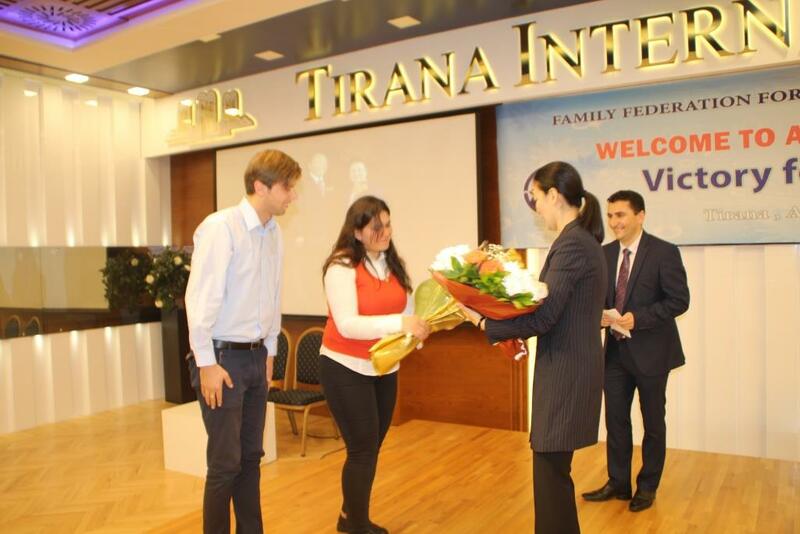 Since in Tirana was scheduled European Leadership Conference about Peace in Balkans, Yeon Ah Nim greeted the conference in the position of Women Federation for World Peace’s President. 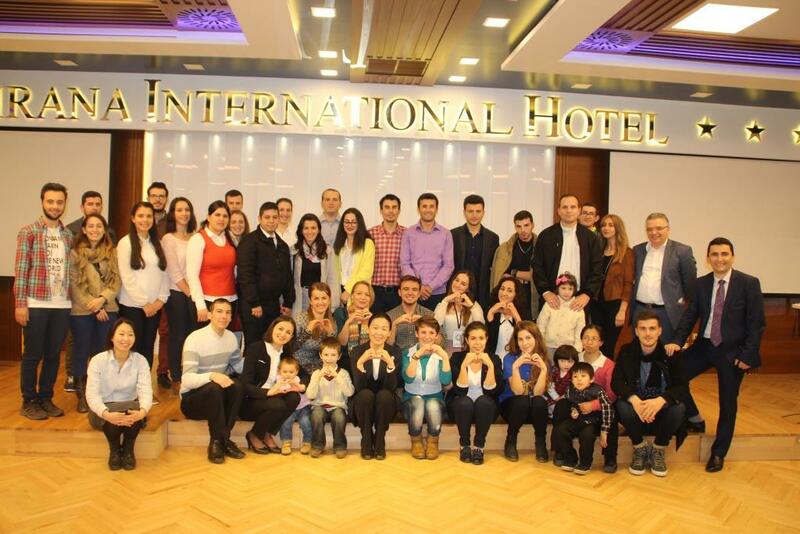 On Sunday, November 22nd 2015, at 15.00 o’clock, over 160 brothers and sisters, blessed families and members were gathered in the big hall at Hotel Tirana International to receive the message which Yeon Ah Nim had prepared for them. 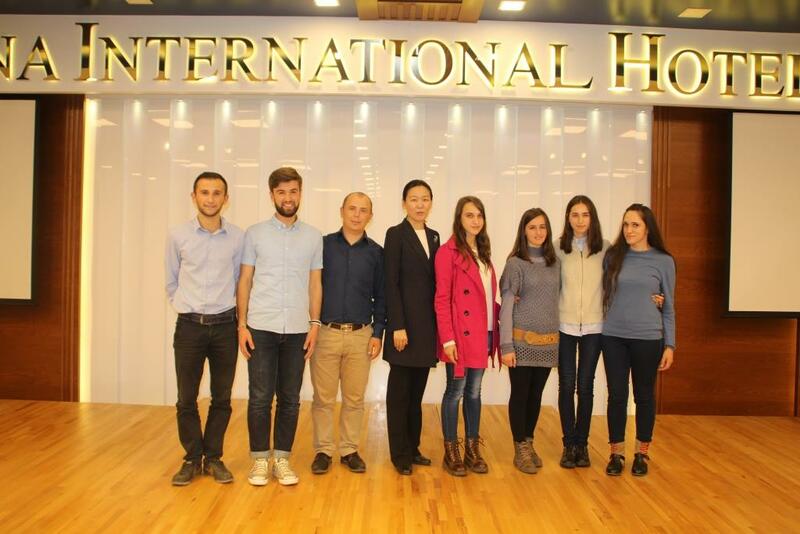 At the beginning, members of the National Team, together with some other sisters, offered some songs in order to express the gratitude and love towards the Heavenly Parent, True Parents and Yeon Ah Nim for visiting Albania. Then, Dr. No Hi Pak, Special Emissary of True Parents in Europe with special focus in Albania and France, warmly greeted the participants. He emphasized that Albania now was like their second hometown and how much hope True Mother has for Albania. After that, Rev. Jack Corley, European Continental Director, who visited Albania for the first time after receiving his new mission, introduced Yeon Ah Nim by emphasizing her humbleness and deep thinking, as well as the fact that Yeon Ah Nim now works side by side with True Mother how great & precious her support is for Mother. Good afternoon, beautiful young faces. I can imagine how much True Mother really wants to see you faces. Whenever True Mother mentions and talks about Albania and young members she sees hope and happiness. And now I can see why and how True Mother all the times feels all that kind of big happiness. Unfortunately, because of coming foundation day, True Mother couldn’t visit you. So I am here on behalf of her love and heart. But my size of voice is very small comparing with hers. Even though you cannot feel True Mother’s love from me it’s not her fault it’s my fault. First of all, I want to start with True Father’s word. In 1997 True Father has spoken in America. Whenever I listen to this speech I reflect upon myself. What is my center? What kind of attitude I have now? And from these words I get always the same answer. Even this title True Father wrote it on a blackboard and he put numbers, 1, 2, 3, 4 and 5. This title is teaching us our growth in faith. We will start from the first: Believing in True Parents. Next is Knowing True Parents and then we have to live together with True Parents and with this life with True Parents we can achieve oneness in True Love. And then we will also live on this earth centering on Heavenly Parent and Heavenly Nation and Kingdom. So thinking about myself also, where am I, within this 5 questions. Maybe between believing and knowing? So I will read it. If thinking about the goal of God’s creation and providence, I am just one of those processing steps. I am just passing by, and eternity is close to Heavenly Parent and True Parents. True Father in his speech, he mentioned how much the center is important and that the center is True Parents. It’s not about True Father and True Mother as human beings. It’s about Heavenly Parent in origin. But Heavenly Parent we cannot see. That’s why as the representatives of Heavenly Parent we are following True Parents. Just to not be as I am, or to not go in a wrong way, I always remind this content to myself. Next title I want to introduce you is: “Let us attend the conscience as the teacher and engage in battle”. True Father spoke this speech on 1962. He spoke this speech for young members at that time, like all of you. And in that time our church all time had workshop every summer and winter. After finishing everybody are going to all areas and villages of the country. Our seniors of that time they did a hard work to witness True Parents. I know you are doing it too, right? This has come from our seniors. That time for 40 days they lived together and they got education together. But after finishing the workshop everybody should go alone. There is no teacher, there is no mentor. What they could trust was Heavenly Parent. True Father mentioned about conscience in this speech. But the conscience is related with Heavenly Parent and True Parents. What is it to remain eternally? Even after we have ascended what shall we leave behind us? I think everyone know the answer now, right? Yes? The three things: Hope, God’s circumstance, God’s heart. When looking at it from this prospective we must look back and think once more: God, is Your hope been realized? Can we understand Your situation? Do You stand in a position where Your heart is filled with happiness? All the answers are no. Now that we understand God, we discovered that He is such a person. What is the conscience trying to tell us? What is God trying to tell us? For everybody, for all humanity the purpose is to realize God’s long awaited hopes. That is everything. So what will be accomplished when God’s wishes be realized? God’s situation will be clear to everyone. Than God’s heart will be felt by everyone. That is everything. In the end of her speech, Yeon Ah Nim gave a picture of True Parents as a present to all brothers and sisters who were present. She also offered some money, which some part she asked that all brothers and sisters should eat together “Heavenly Hamburger” and the other money to be used to witness about True Parents. After the meeting was finished, Yeon Ah NIm took picture with all members from each community and with each blessed family, by conveying True Mother’s love through shaking hands with each member. 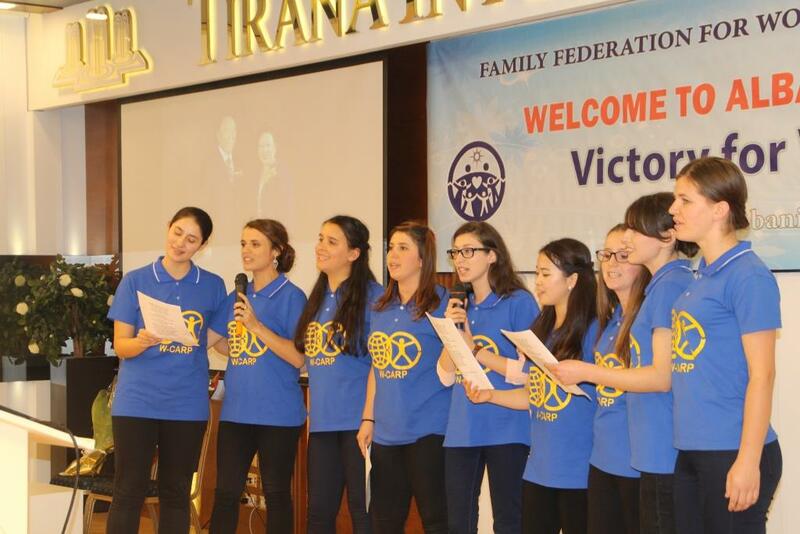 We are truly grateful for the love and heart Yeon Ah Nim showed and shared with Albanian brothers and sisters!